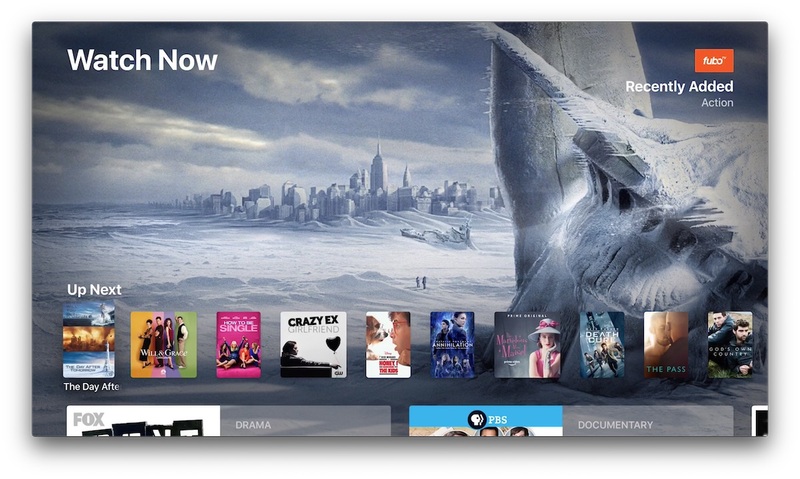 FuboTV this week has quietly rolled out support for the TV app on Apple TV, allowing subscribers to connect their FuboTV account with the TV app and keep track of all the shows and movies they watch within FuboTV. For those keeping track, this means that FuboTV is now the second live TV streaming service to integrate with Apple’s TV app, following PlayStation Vue last October. Users can discover FuboTV content within the TV app now, and all shows and films will be marked with an “Available on: FuboTV” tag when they’re available in the streaming service. Subscribers can add these movies to their Up Next queue in the TV app, and when they begin watching them in FuboTV, the TV app will keep track of their progress. 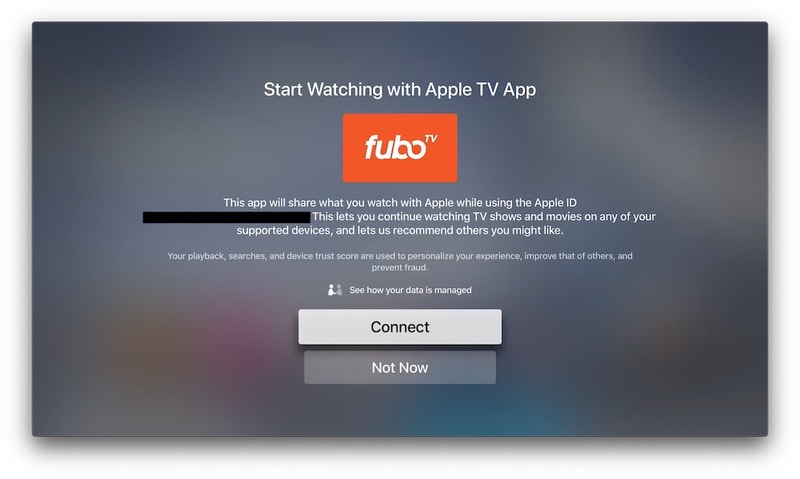 When first opening a movie or TV show from the TV app into FuboTV, subscribers will see a splash screen asking for permission to connect FuboTV to Apple’s app. 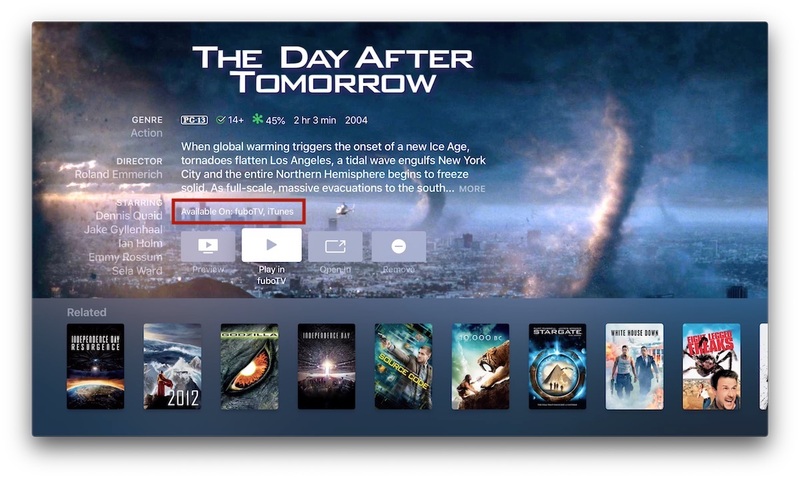 Once connected, users will be able to keep track of their FuboTV content in the TV app across their Apple devices, including Apple TV, iPhone, and iPad. As of writing, Apple has not yet added FuboTV into the list of supported apps on its website. Previous articleOfficial Galaxy S10 and Galaxy S10+ renders leaked!